The video title caught my eye so I clicked on the link without knowing who the speaker was. Nope, not a clue. At the time, that is. Her introduction was about the concept and definition of disability but I couldn't figure out what her "disability" was until later on. 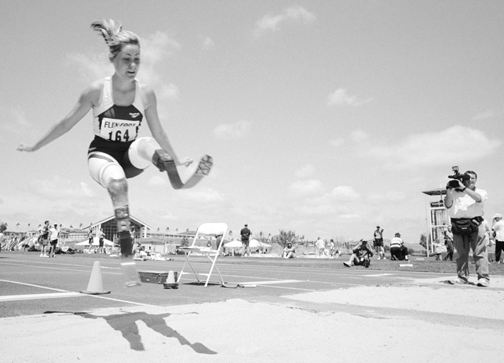 As a paralympic champion and double amputee her story is definitely worth knowing and I had an "Aha!" moment (as Oprah would call it) while listening to what she had to say on the advantages of adversity (yes I know it seems like a paradox). I'd like to share her inspiring words so you can have a new perspective on life and challenges. "People have continually wanted to talk to me about overcoming adversity and I'm going to make an admission, this phrase never sat right with me. Implicit in this phrase 'overcoming adversity' is the idea that success or happiness is about emerging on the other side of a challenging experience unscathed or unmarked. We are changed. We are marked by a challenge whether physically, emotionally or both. And I'm going to suggest that this is a good thing... Adversity isn't an obstacle that we need to get around in order to resume living our life. It's part of our life. I tend to think of it like my shadow; sometimes I see a lot of it, sometimes there's very little but it's always with me. The idea I want to put out there is not so much overcoming adversity as it is opening ourselves up to it. Embracing it. Grappling with it. Maybe even dancing with it. And perhaps if we see adversity as natural, consistent and useful, we're less burdened by the presence of it. Until we're tested we don't know what we're made of. Maybe that's what adversity gives us. A sense of self. A sense of our own power." I love that hadith. Society has "programmed" us to think of trials as a curse or punishment when they can be a form of blessing, especially when they result in humility and the strengthening of our spirits. Moreover, God knows that we tend to forget Him when we are surrounded with ease and comfort and therefore he gives us hardship to teach us to turn to Him and have a relationship with Him. Adversity gives us the chance to practice patience and reliance on God. I really want to highlight the word 'practice' here because we don't always get things right the first time or even the second or third time. Heard of the saying, "Practice makes perfect"? What we require to have a good relationship with Allah (swt) - such as tawheed, taqwa, tawakkal, tasawwuf - can only be learned and perfected by practice. How do we practice these things if not through trials and tribulations? A person achieves true success in life when he or she has a relationship with God. You can have everything you ever wished for such as wealth, family and good health, but you will still feel a sense of emptiness and unhappiness unless you have a true and meaningful relationship with God. And a sign of having a true and meaningful relationship with God is manifested as having the inclination to turn to God in both times of ease and hardship. How do we achieve this without the process of humbling ourselves through the challenges in our lives? Beautiful words what this woman has said, and it's the true. Thanks for sharing this with us, it really helped me. @Laila @Haneen, alhamdulillah :) Yes, athletes are very disciplined and determined people. There's so much we can learn from them.